We raise two breeds of laying hens : the Dominiques and the Rhodes Island Red. Both are heritage breeds. The Dominique breed developed from the fowl introduced during the early settlement of New England. This stock was widely distributed in the Eastern half of the United States by mid 19th century. A great increase in popular interest began in 1875 with the "improved" type finding an enthusiastic response among exhibitors and farmers. The breed was never used commercially, and was eventually eclipsed on the farm by the gradual shift to "Plymouth Rocks" when the preferred type of "Dominique" had been transformed into the "Plymouth Rock." Dominiques have many advantages besides their handsome appearance. They are hardy, do well on open range and are generally calm by nature and are easy to work with. While for many years Dominiques were very rare, they are no longer a "lost breed". There has recently been a revival of interest in them which has placed them in a unique category of their being uncommon enough to be interesting and unusual, but not so common as to be a "me, too" breed. The Dominique is a medium sized bird with black and white barring over the entire body. The rose comb is characteristic. A dual propose breed, these birds were kept to produce brown eggs and chicken for the pot. The heavy plumage not only protected the birds in cold weather, but provided material for pillows and featherbeds. The plumage coloration also made them less conspicuous to predators. They were expected to make a part of their living by foraging and to raise a clutch or two of chicks each year. The Rhode Island Red was developed in the New England states of Massachusetts and Rhode Island, early flocks often had both single and rose combed individuals because of the influence of Malay blood. It was from the Malay that the Rhode Island Red got its deep color, strong constitution and relatively hard feathers. Rhode Island Reds are a good choice for the small flock owner. Relatively hardy, they are probably the best egg layers of the dual purpose breeds. They are one of the breeds where exhibition qualities and production ability can be successfully combined in a single strain. At night they are co-op in mobile Hoopchickhouse to protect them from predators. 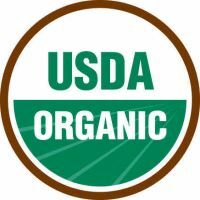 To supplement the bugfeast, we fed them a USDA certified organic feed WITHOUT SOY, it is a mix of real grains not a pelletized form of "you dont know what". Our hens are raised the old fashioned way, they are healthy without having any medications, they are happy because they have the lifestyle a chicken is supposed to have.